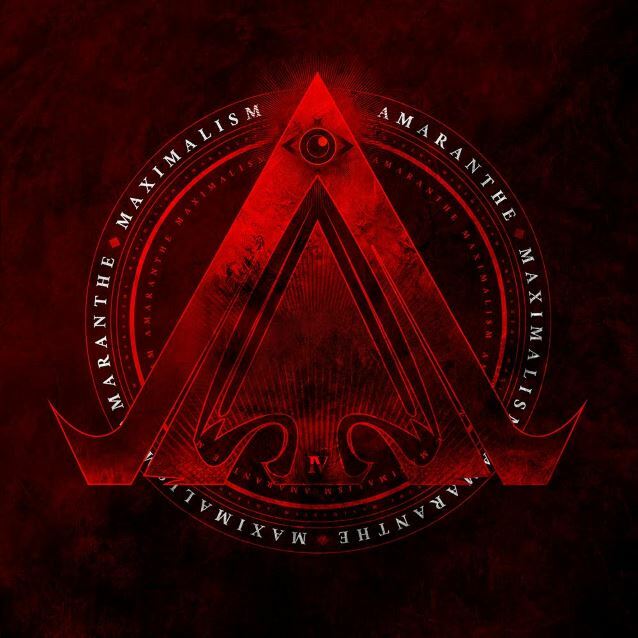 Review: Amaranthe – Maximalism – Spinefarm Records – Release: 21–10-2016. Amaranthe sure have made an impact on the metal scene since their inception in 2007. While their self-titled debut album from 2011 consisted of catchy melodic metal and melodic death metal and caught ears with their trio of singers, it wasn’t until 2013’s “The Nexus” which perfected the sound from the first album that the ball really started rolling, but the band’s popularity really exploded with their near perfect pop metal mix on 2014’s “Massive Addictive”. Now the band’s up to album number four, can they keep the train going forward at top speed? This album will probably be too hard to swallow for a lot of metal fans, because the pop level on this album is pretty damn high. Luckily in a way it’s sort of a two-parter, with the pop being more present on the first half, with ‘That Song’ being the bane of a lot of people’s existence going by some of the vitriol that landed when the band first released it. There’s no denying that Elize has a beautiful and quite versatile voice, but with the first few songs it’s mostly focused on easy rocking out with just a tad of roughness to keep the edge on. It’s just a shame that the band chose to use quite a lot of filter at times. Even Jake seems to be wrapped in it now and then. Speaking of halves, if that was the band’s intention they really made a nice halfway ending with ‘Limitless’ which has a very high chance of charting high in the overall single sales. Even though I appreciated the first half and really got my head nodding it’s not until ‘Fury’ that I really hear the band that I fell in love with many years ago again. High octane melodic metal with Henrik in a main role, with heavy support by Elize and Jake in the chorus. Luckily the band keeps up the metal with ‘Faster’, which really takes to its name. I also have to say that their skills seem to be a lot more prevalent there as well. Upbeat, heavy and poppy, just the way that Amaranthe has perfected over the years and despite the heaviness kind of dying down in the latter songs, the band does manage to keep up the more metal side of their sound. Well, at least until the so-sappy-I’d-drown-with-Leo ‘Endlessly’. There’s no denying that Elize has a beautiful voice, but this song is just too much of a standard pop ballad. Right of the bat, Amaranthe clearly surpassed what they did with “Massive Addictive”. “Maximalism” is filled to the brim with catchy songs that easily grab your ears and will refuse to let go until you’re humming along to the tunes and singing along with the choruses. I didn’t really expect the band to catchy my attention again after I kind of fell out of love after their previous album, but they really managed to up the ante, despite the occasional blackout in metalness.